Tiny Talk is the multi award winning national provider of baby and toddler signing classes, that are designed around weekly themes to teach baby, toddler and parent pre-verbal communications through signing. Interactive music classes teach everyday sign language signs and hands-on sensory activities to delight your baby . Classes develop all round communication skills, teaching them to communicate before they can talk, stimulating their senses and encouraging tracking skills, hand eye coordination and fine motor skills. Toddler Talk is a faster paced programme, building a range of communication skills and other skills needed as they head towards preschool. This includes parachute games, pom poms and educational games combined with singing and signing. 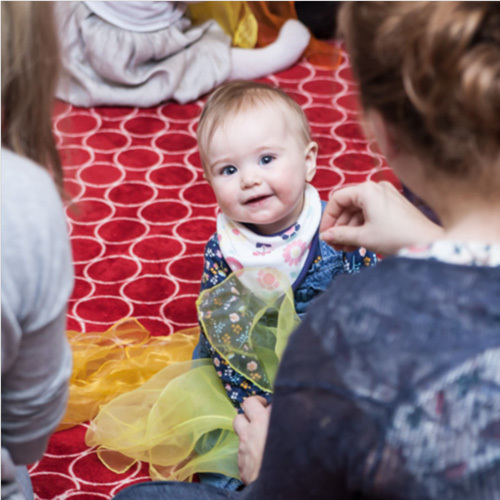 In addition to supporting better communication, it also gives parents/carers an opportunity to make new friends and have a hot drink and biscuits whilst your child enjoys social playtime. To start improving communication with your child, search for your nearest class here and book a place using your Little Starts gift card.